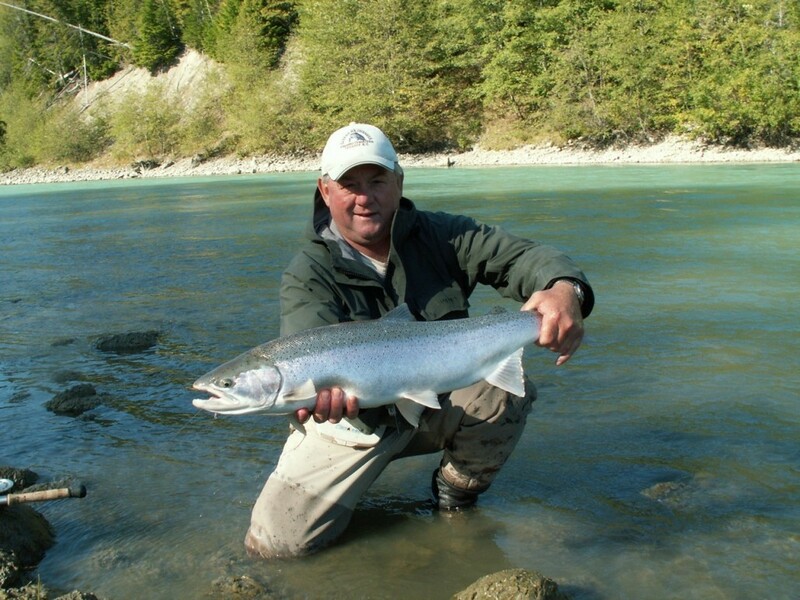 The greatest salmon fishing in the world is waiting for you in Terrace British Columbia, Canada. 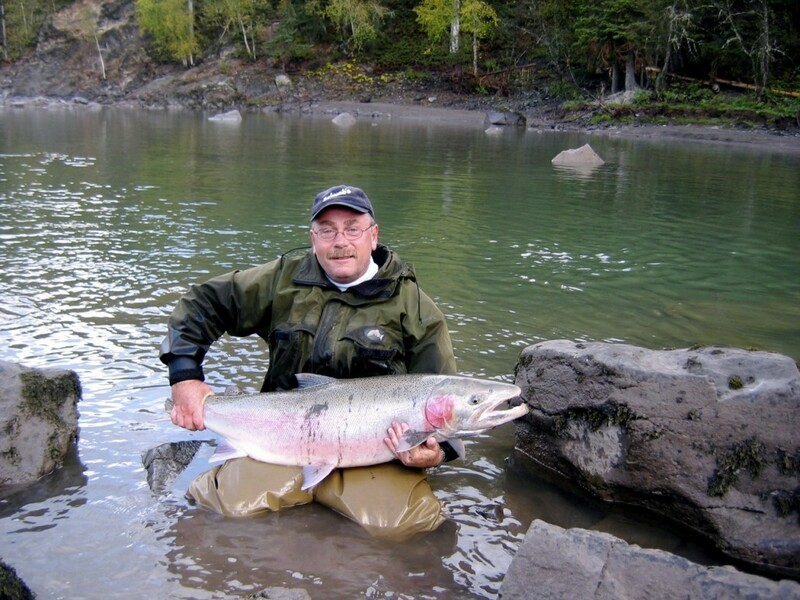 This small city situated on the banks of the Skeena River at the heart of Skeena region not only offers the largest king salmon in B.C. 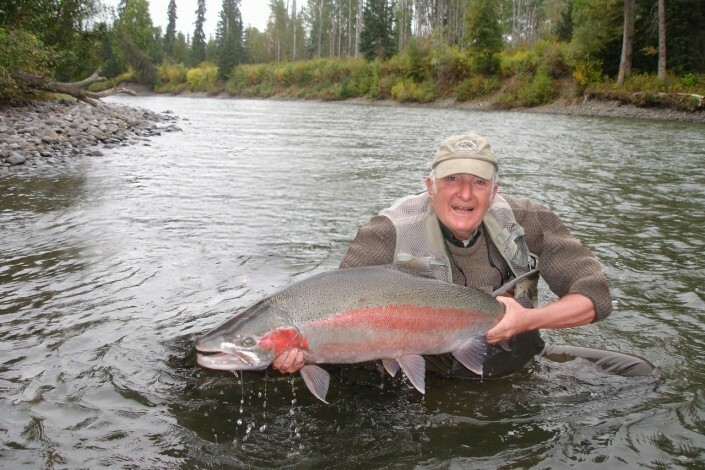 but Coho salmon, sockeye salmon, pink salmon and chum salmon as well. 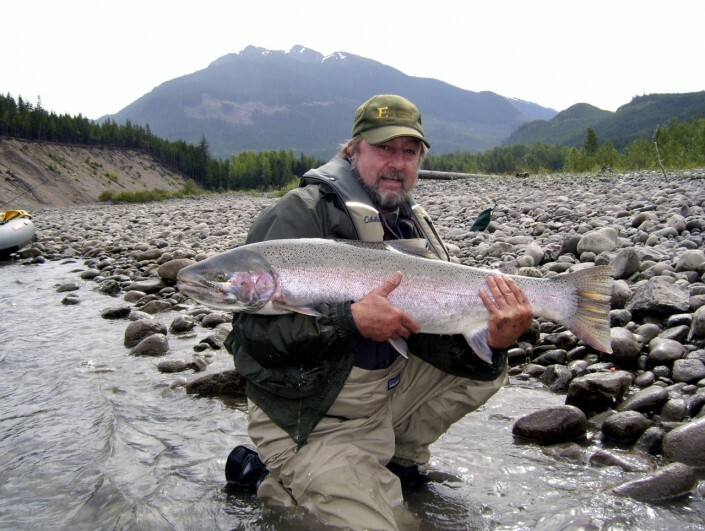 Dolly Varden char, bull trout, and sea run cutthroat trout are caught frequently in the main stem of the Skeena and in the many tributary rivers only a short distance away in one of their jet boats. 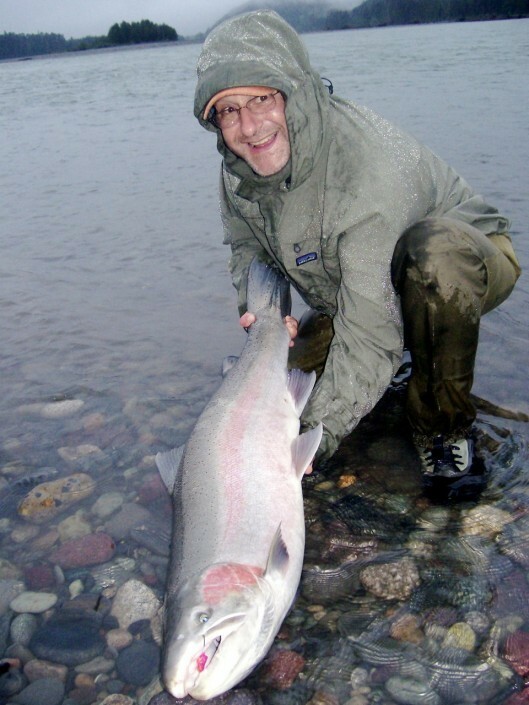 For the discerning angler, Skeena steelhead are the prime reason for a trip to northern B.C. 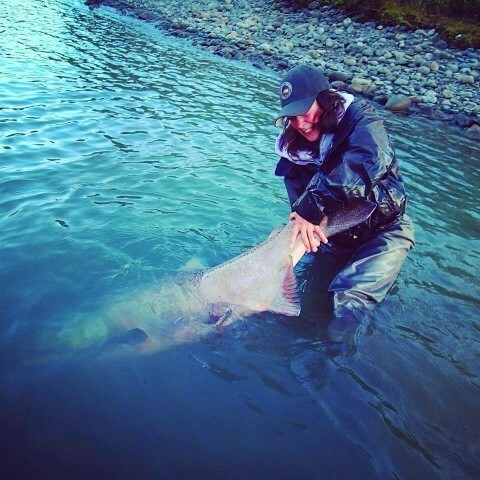 The steelhead fishing guides at Skeena Wilderness are seasoned veterans, adept at steelhead fly fishing techniques as well as the use of drift fishing strategies for the most aggressive and exciting of Canadian game fish. Cancellation Policy If you have to cancel, you do not lose your deposit. We do not refund your deposit in cash, but you can use it to book another trip. In Canada, there is a 5% GST Tax on services added to your cost. 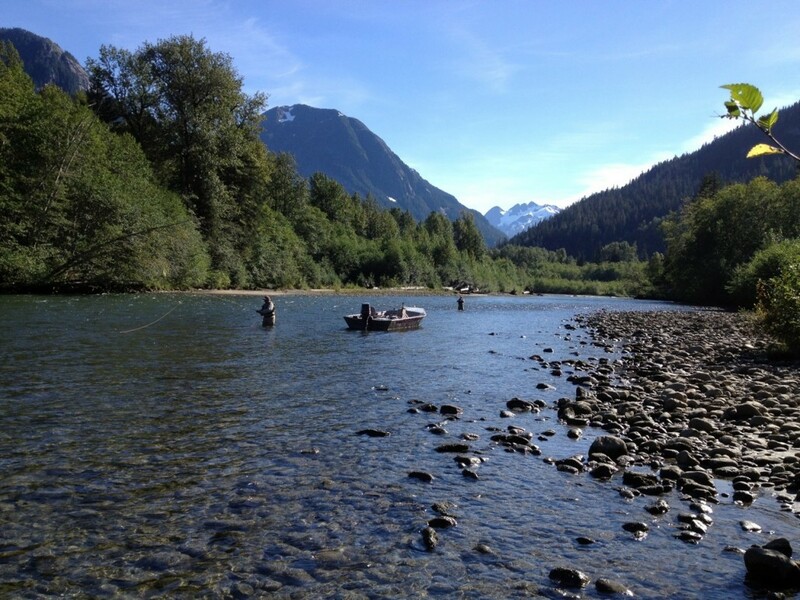 Skeena wilderness is licensed to fish all the classified and unclassified rivers in the Terrace, Kitimat and Prince Rupert area. The classified rivers include the Skeena 2, Zymotez ( copper ) class 1, Zymotez (copper ) class 2, Kalum, Gitnadiox, Ecstall and Kwinamass, plus all the unclassified rivers. The rates for the classified rivers are different from the rates for the unclassified rivers. The rates are in U.S. dollars. 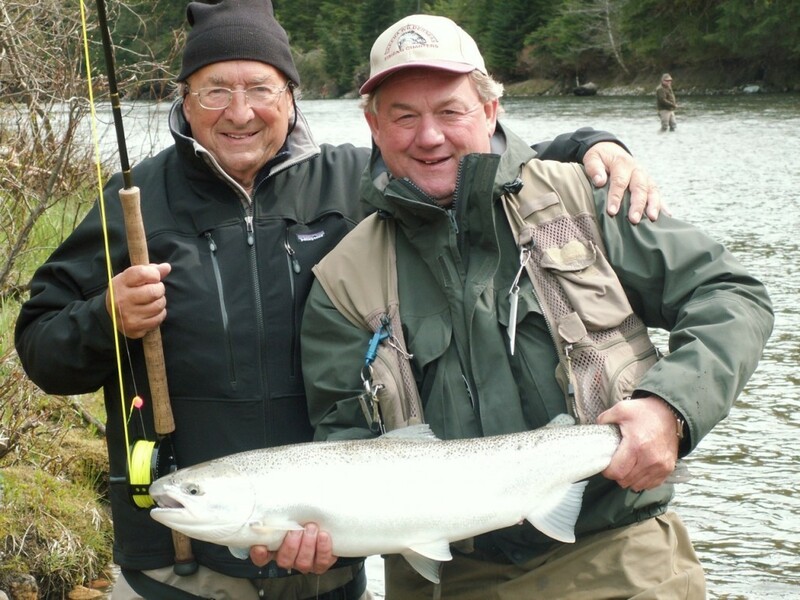 The reason for the rate difference is that the classified rivers are very restricted to the amount of guided anglers. This makes for a much better experience. 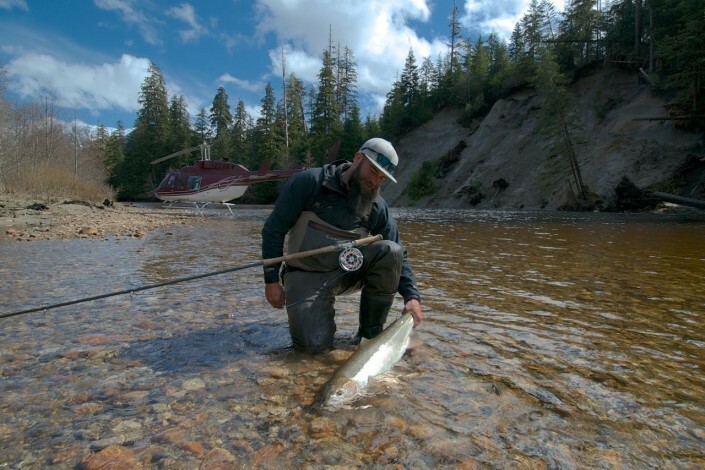 There is a limit to how many anglers they can guide in a season. They can provide accommodations with meals. Accommodations with meals per day are US$200.00 per person. These rates are in U.S. dollars. They charge on a per day basis. There is also a 5% GST tax added to the total amount. 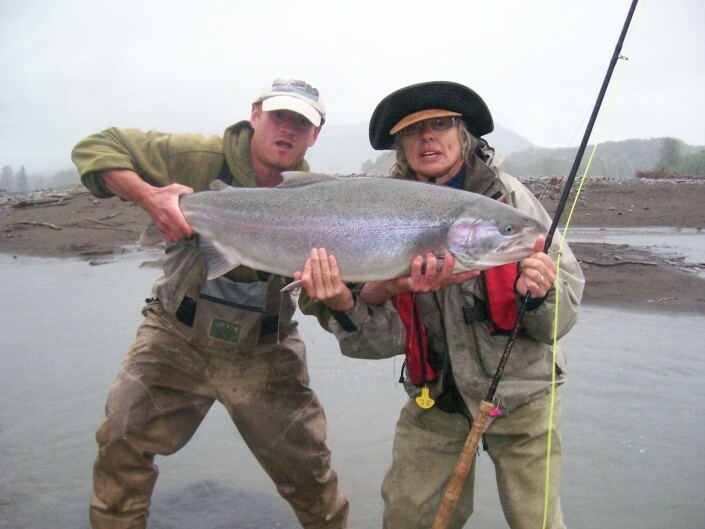 The Skeena class 2, The Kalum class 2 , The Zymotez (Copper) class 2 – Fishing is US$600.00 per day per person. With accommodations US$800.00 per day per person. The Zymotez (Copper) class one – Fishing is US$800.00 per day per person. With accommodations US$900.00 per day per person. The Gitnadiox class one, The Kwinamass class 2 – Fishing is US$700.00 per day per person. With accommodations US$800.00 per day per person. They also guide on all of the unclassified Rivers in the area. The cool waters of the north pacific, just down the road from Terrace, offers some of the best salt water fishing on the coast. 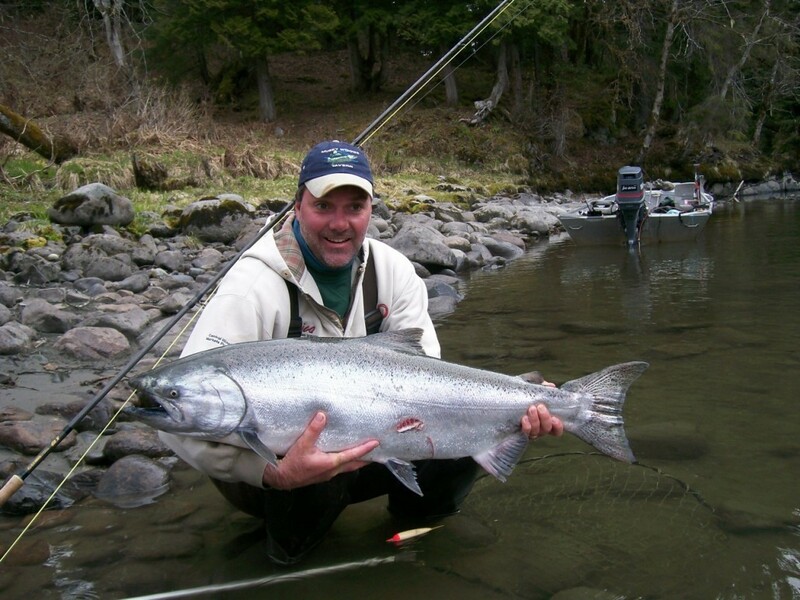 May 1st to September 15th is the perfect time to fish the ocean for Salmon, Halibut, Cod and many other species including King and Dungenous crab. 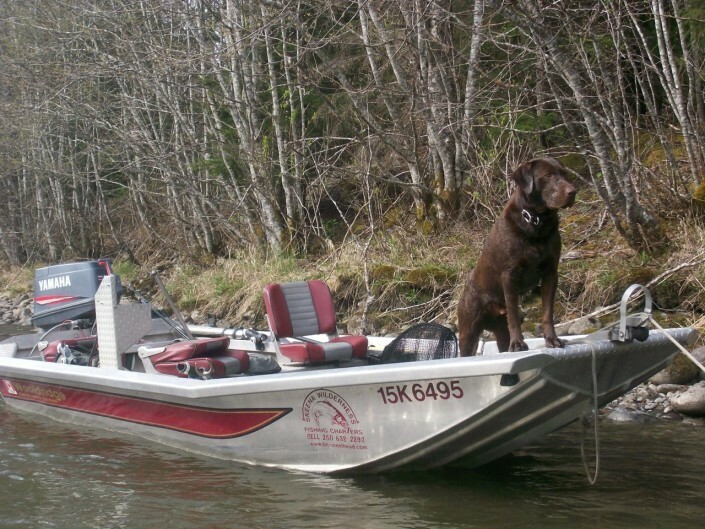 SKEENA WILDERNESS FISHING CHARTERS has a wide variety of fishing packages to suite your individual needs and desires. You will be fishing from a new walkaround Seafarer 22’ Grady White fully equipped with fishing gear and safety equipment. You will be cut plugging Herring for Chinook or maybe fly fishing for Coho, Jigging for Halibut and bottom fish. Fresh crab every day. Forty years guiding experience ensure an incredible success rate! – references available. The charge is US$1400.00 per day, maximum four anglers, plus a 5% GST tax. 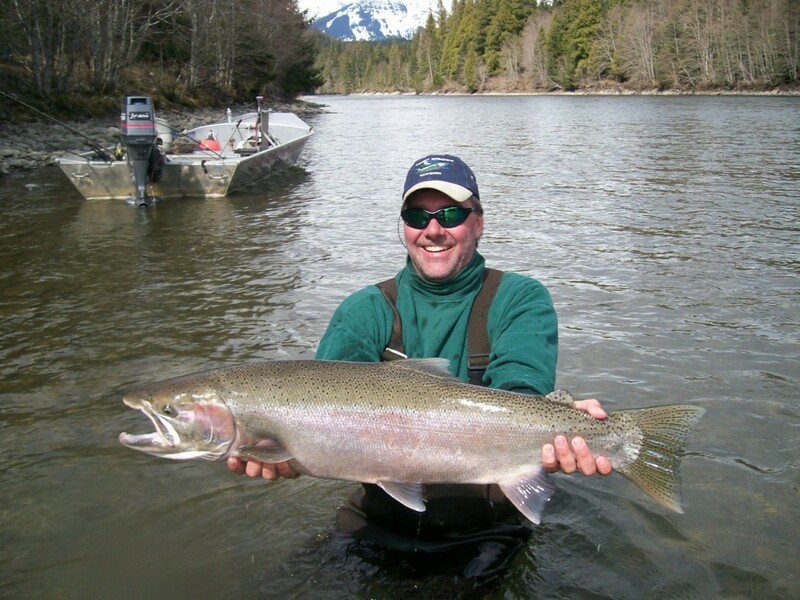 We fish for Chinook, Coho, Halibut and Bottom Fish. 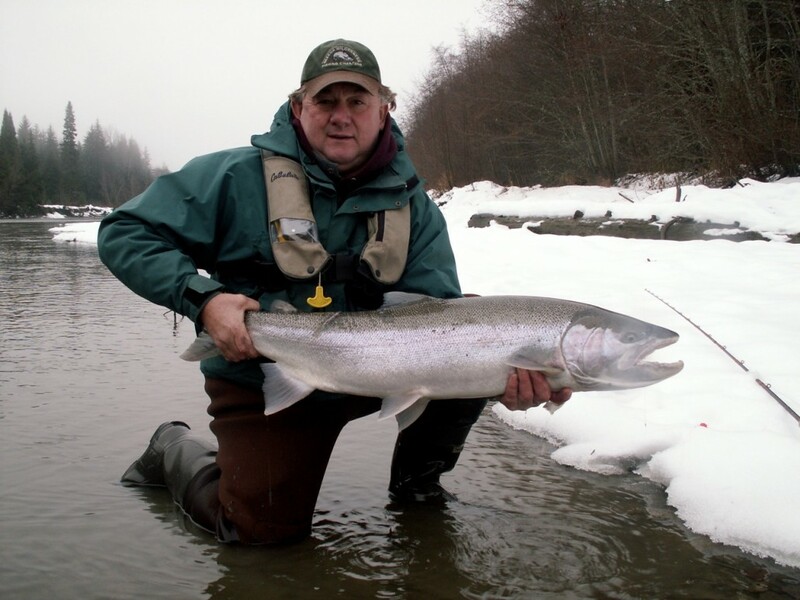 Try fly fishing for Coho when in season!